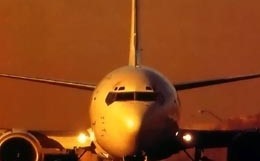 The highly successful Boeing 737-400, which was designed as a minimum-change, higher-capacity version of the 737-200, has a longer fuselage and more powerful engines than earlier models. With the addition of a tail bumper, the Boeing 737-400 ensures a smooth, reliable flight with safe takeoffs and landings for a maximum of 173 passengers. 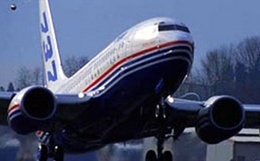 One of the most popular and iconic aircraft of aviation today is the Boeing 737. 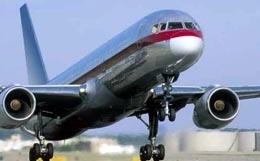 First introduced in 1984 with US Airways, the Boeing 737 Classic has become the mainstay of airline fleets the world over. Enjoying a production run spanning almost 20 years, Boeing has produced over 1,988 of these solid and dependable aircraft. 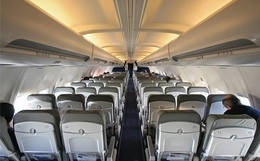 The Boeing 737-400 has seating for 159 passengers in a single class configuration, or 146 seats in a 2-class configuration. The cabin configuration is 6 seats across in economy, or 4 across in business or first class. There are 3 fully enclosed lavatories, as well as 3 galleys for food preparation. With some charter operators, the cabins can be reconfigured to seat a total of 68 all first class seats. 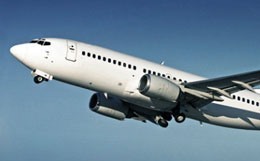 For more information about chartering, leasing or buying a Boeing 737-400 please contact us by calling +44-20-3874-8091 or send us an email here.